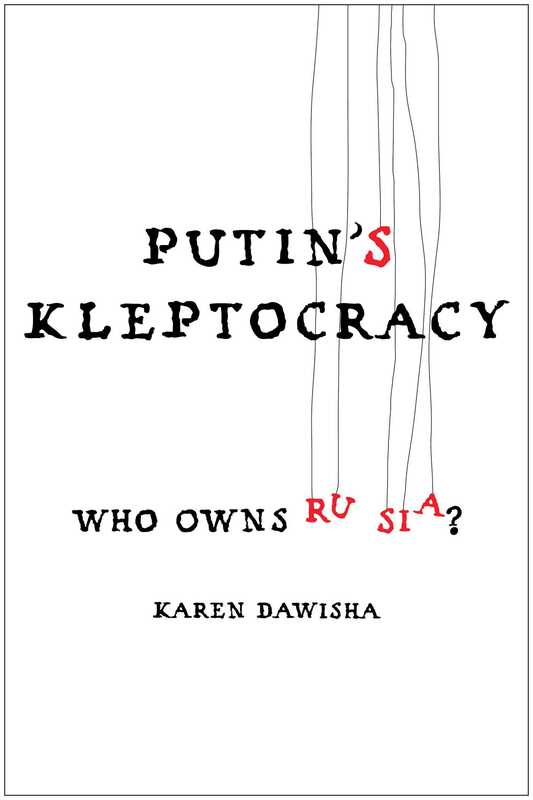 Russian scholar Dawisha describes and exposes the origins of Putin’s kleptocratic regime. She presents extensive new evidence about the Putin circle’s use of public positions for personal gain even before Putin became president in 2000. She documents the establishment of Bank Rossiya, now sanctioned by the US; the rise of the Ozero cooperative, founded by Putin and others who are now subject to visa bans and asset freezes; the links between Putin, Petromed, and “Putin’s Palace” near Sochi; and the role of security officials from Putin’s KGB days in Leningrad and Dresden, many of whom have maintained their contacts with Russian organized crime. IN REACTING to Russia’s annexation of Crimea and support for pro-Russian separatists in Ukraine in early 2014, the U.S. government announced an unprecedented response: not the Russian state but individual Russian citizens would be subjected to asset seizures and visa bans. The Sixth Fleet was not called into action; exports to Russia as a whole were not banned; cultural and educational exchanges were not stopped. Rather, individual elites close to “a senior Russian Government official”—Vladimir Putin—were targeted. And these billionaires, far from being titans of industry motoring the modernization of the Russian economy, have secured and increased their wealth by relying on and bolstering the centralized power of the state. The wealth of the oligarchs and political elites who came to power with Putin in 2000 has been more stable than in any other G7 country; they have made millions, though some have also lost as much. Political leaders close to Putin have become multimillionaires, and the oligarchs around them, according to Forbes Russia, have become billionaires. They are able to maintain that power and wealth as long as they don’t challenge Putin politically. Under this system, the state absorbs the risk, provides state funds for investment, and gives those close to the Kremlin massive monetary rewards. With the return under Putin to state capitalism, the state nationalizes the risk but continues to privatize the rewards to those closest to the president in return for their loyalty. Within weeks of Putin’s coming to power, the Kremlin began to erode the basic individual freedoms guaranteed under the 1993 Russian Constitution. This pattern of gradually closing the public space and denying citizens the rights of free press, assembly, and speech was present and planned from the very beginning, as will be shown in my discussion of a document, never before published outside Russia, detailing the plans made in late 1999 and early 2000 to reshape the entire Presidential Administration to achieve these ends. In Russia, the Presidential Administration is the true locus of power, particularly under Putin’s “vertical of power.” Its offices and departments shadow and supervise the work of the government ministries, the two houses of the legislature, the courts, regional government, the media, and societal movements like youth groups and trade unions. It is from here that policy is made in all sectors of domestic and foreign policy, to be implemented by the government or passed into law by the Duma and the Federation Council. Putin was enormously assisted by very favorable global economic conditions in which the price of oil shot up to over $140 per barrel, allowing the Kremlin to provide an increased standard of living for ordinary Russians and the emerging middle class while also creating greater social stability. But Putin also benefited from the existence of a tight-knit circle that came with him from St. Petersburg and with whom he had worked for over a decade. In this book I lay out the case for the existence of a cabal to establish a regime that would control privatization, restrict democracy, and return Russia to Great Power (if not superpower) status. I also detail the Putin circle’s use of public positions for personal gain even before Putin became president in 2000. The trail leads to the establishment of Bank Rossiya, now sanctioned by the United States; the rise of the Ozero Dacha Consumer Cooperative, founded by Putin and other members now subject to visa bans and asset seizures; the links between Putin and Petromed, the medical supply company that diverted millions in state funds to build “Putin’s Palace” near Sochi; and the role of security officials from Putin’s KGB days in Leningrad and Dresden, many of whom have maintained their contacts with Russian organized crime. Elections in all new democracies suffer from certain problems of weak party stability; poor, loose, and fluid electoral laws; and voter manipulation and fraud. However, these problems should decrease over time, leading to the consolidation of democratic institutions. In Russia, however, they have only increased, until in the 2011–12 electoral cycle the fraud and abuse were so widespread that popular demonstrations broke out. By the end of 2011, having come through a thoroughly fraudulent and publicly documented sham election for the Duma (the lower house of the Federal Assembly, Russia’s Parliament), it became crystal clear that the ability of activists in Moscow and St. Petersburg to seek democratic change was significantly inferior to the regime’s ability to suppress change. It is this kleptocratic tribute system underlying Russia’s authoritarian regime that the U.S. government sought to expose and punish beginning in March 2014. The names on the sanctions list read like a Who’s Who of Team Putin. For the first time the White House explicitly talked about Putin’s circle as his “cronies” and targeted their money abroad, exposing the fact that Western governments have known for some time the broad details of where this group’s money is, what their private rules are, and what high crimes and misdemeanors they have committed to establish and maintain their sistema—and that Western governments are no longer willing to keep silent. How was this group formed? What were its origins? And why did it take Western policy and academic communities so long to embrace this view of the Russian political system as a steel hand in an initially velvet glove? We may never know precisely when the current regime decided to do what they have clearly done, any more than we know on which day Stalin stopped being a pencil pusher and decided to imprison millions in the gulag, or even when Hitler hit on the idea of exterminating the Jewish population of Europe. Horrifying details such as these are not something one reads about in dictators’ memoirs after they start receiving their pension. It is a pity (purely from a historian’s point of view) that there is usually so little time between the collapse of dictators’ regimes and their own ultimate demise. Because we can see that there is a complex and clever system in Russia, quite opaque and full of interesting details and inner rules, we should conclude that the system came about by intelligent design. But how? The evidence strongly suggests that it did not come about by chance. This book firmly rejects the ideas often promulgated in Western academic circles that Putin is an “accidental autocrat” or a “good tsar surrounded by bad boyars.” Of course, the boyars—now called oligarchs—are indeed mainly bad. And of course, not every detail of their ascent could have been worked out in advance. Not everything went as planned; certainly they met with deep resistance from other rivals, in both St. Petersburg and Moscow. But I believe that Putin’s group could never have predicted how successful they would be and how little their acquisition of power would be resisted by Russians and the West. The contention of this book is that the group around Putin today is the same as the one that brought him to power from St. Petersburg in the 1990s and that the purpose of that project was never to embed Western-style democratic institutions and values. The group did not get lost on the path to democracy. They never took that path. Why did the West not firmly resist “Putin’s project” until now? In the process of interviewing for this book, it became clear that many Western officials stationed in Russia certainly knew from the early 1990s what kind of operative Putin was and whom he depended upon to get things done. But he was regarded as a relatively low-level person in one city in one very turbulent country. And so the eyes of Western intelligence were wide shut until, in the course of less than two years, Putin rose from being an out-of-work deputy mayor, whose boss had just lost his bid for reelection, to the head of the Federal Security Service (Federal’naya Sluzhba Bezopasnosti, FSB), the modern-day KGB. One year later Putin was prime minister; six months after that he was president. Jobless to president in three and a half years. Only then did Western journalists and policymakers focus closely on his background and his circle, but by then it was too late. According to government leaks to Newsweek, U.S. government analysis of Putin’s personal involvement in a money-laundering scheme through a German-based company, SPAG, led in 2000 to Russia’s being placed on an international money-laundering blacklist: “A key reason, said a former top U.S. official, was a sheaf of intelligence reports linking Putin to SPAG,” including documents showing he “signed important St. Petersburg city documents for the company’s benefit.”4 The pattern of helping his friends to the detriment of his people was set early. Then, at the Slovenia summit in June 2001, President George W. Bush looked into Putin’s eyes and saw his soul, and when Putin quickly joined with the United States in the “war on terror,” analysts report that the primary focus of Western intelligence gathering shifted away from Russia and toward the Muslim world. Putin was regarded as a reliable partner in helping the West target Islamic extremists, especially in Afghanistan, since there were Chechen fighters in al Qaeda camps too. Only slowly did Putin’s malevolence dawn on Western governments, especially in light of the Kremlin’s transparently predatory actions in taking apart Russia’s largest private oil company, Yukos, and imprisoning its independently minded owner, Mikhayl Khodorkovskiy, in 2005. The following year, at the G8 meeting in St. Petersburg, President Bush called for “strengthened international efforts to deny kleptocrats access to our financial system,” but he still did not mention Russia by name.5 Western newspapers now report that in 2007 a CIA assessment of Putin’s personal wealth “largely tracked” with assertions made by the Russian political analyst Stanislav Belkovskiy, who claimed that Putin had holdings totaling about $40 billion in the commodity-trading company Gunvor, the publicly traded state-majority-owned gas giant Gazprom, and the oil and gas company Surgutneftegaz.6, I At last, one thought, the West might start to stand up against this vast scheme, with its potential to undermine not only Russia’s development but Western financial institutions, the banks, equity markets, real estate markets, and insurance companies that were showing signs of being undermined internally by employees eager to receive their commissions from these illicit transactions. But then President Barack Obama, as have all new U.S. presidents, announced he was going to “reset” relations with Russia. As a result, Putin spent only minutes in the penalty box for the 2008 invasion of Georgia before being embraced at the 2009 G8 meeting of the world’s leading industrial nations. The meeting was hosted in Italy by Putin’s personal friend, Prime Minister Silvio Berlusconi, even as U.S. government cables reported allegations circling in Rome that he was “profiting personally and handsomely” from secret deals with Putin that included the “exchange of lavish gifts.”7 From 2008 to 2014 six more years were lost while low-level government officials gathered materials on Putin’s wealth and high-level political appointees ignored them. In the academic world, there was a similar trend in writing about Russia. Books continued to frame Russia as a democracy, albeit one that was failing or in crisis. Like other scholars of Russia, I have spent a significant portion of my career thinking and writing about how the post-Communist states might make a transition toward democracy.II Initially Western government and academic circlesIII believed that institutions could be established in practically any country that would guide it along a democratic path. Most of the new central European countries had early elections, established non-Communist governments, and never looked back. Our uncurbed enthusiasm even extended to Russia. But then the quality of democracy in Putin’s Russia just kept getting worse. Still there was little shift in academic direction, as much of the literature approached the Putin era as a democracy in the process of failing rather than as an authoritarian project in the process of succeeding.IV Clearly in the 1990s democracy was in fact both being built and failing, but when the success or failure of democracy building is the central telos of the narrative, one loses track of the counternarrative, which is that there were elites (centered on Putin and his security cabal, the so-called siloviki) who sought from the beginning to establish an authoritarian regime in Russia, not perhaps for its own sake but because controlling the political and economic development of the country was for them a greater ambition than building any democracy that would inevitably force them to surrender power at some point. When they came to see themselves as the personal guardians and guarantors of Russia’s future, this only increased the possibility that they would not only resist the rotation of elites, critical to a democracy, but actively seek to stymie it. And they used many methods to achieve this, including engaging in criminal behavior, controlling the legal system and the media, and, above all, maintaining group cohesion through combinations of threats and rewards. Instead of seeing Russian politics as an inchoate democratic system being pulled down by history, accidental autocrats, popular inertia, bureaucratic incompetence, or poor Western advice, I conclude that from the beginning Putin and his circle sought to create an authoritarian regime ruled by a close-knit cabal with embedded interests, plans, and capabilities, who used democracy for decoration rather than direction. In other words, Russia is both a democratic failure and a resounding success—that is, a success for Putin and his cronies and a success on their terms. Of course, in this system, there is robust political contestation, there is great uncertainty and instability, and there are still democrats and democratic aspirations. There is also popular support for Putin beyond Russia’s intellectual classes—support bolstered by high oil prices and state control over almost the entire media space. The internal logic of this system has strengthened the power of Putin over the rest; of “manual control” over institutions; of instructions and “understandings” (ponyatiya) over law; and of money over everything. This is not to say that the Russian ruling elite does not see the benefits of a robust rule-of-law system. On the contrary, their behavior in parking their money in Western banks suggests they are very interested in it—just not in their own country. The American economist Mancur Olson was right to posit that in the transition from dictatorship to democracy, “roving bandits” will over time gain an interest in laws to vouchsafe their gains and will settle down, and from this interest in the stability and predictability of gains, democracy will emerge. Under Putin, as the regime made the transition from what Olson called “roving” to “stationary” bandits, interelite violence did decrease, and the streets became safer, as Olson predicted.12 But Olson failed to foresee the extent to which globalization would allow Russian elites to continue to maximize their gains by keeping domestic markets open for their predation while minimizing their own personal risk by depositing profits in secure offshore accounts. This book does not look in detail at what is happening in Russia today; instead I seek to ascertain the authoritarian moment in Russia. The story starts with the collapse of the USSR, when, as the archives of the Communist Party of the Soviet Union (CPSU) reveal, the KGB moved the CPSU’s vast financial reserves offshore, out from under President Mikhayl Gorbachev’s control, thus further crippling his regime. The August 1991 coup by Communist and KGB hardliners failed, but aspirations for revanche remained. One of the chief PR strategists of Putin’s 2000 victory, Gleb Pavlovskiy, subsequently put it like this, after he had been sacked by the Kremlin: “Putin belongs to a very extensive but politically invisible layer of people who after the end of the 1980s were looking for a ‘revanche’ in connection with the fall of the Soviet Union.”13 The 1990s was spent preparing for that moment. Vladimir Putin spent his entire early life yearning to join and was finally accepted into the KGB. By his own account, his favorite songs are Soviet standards, not Western rock. He has been deeply conservative his whole life. Yet he has also been a keen collector of every possible trapping of material wealth. When he was stationed in East Germany, he had the leaders of the German Red Army Faction (also known as the Baader-Meinhof Group) steal speaker systems for him when they had a moment free from their terror campaigns. Back in Russia in the early 1990s, Putin acquired a substantial country house, or dacha, and an apartment in the most prestigious section of St. Petersburg within his first years of working in the city; neither of these could have been purchased with his meager official salary. This pattern of uncontrollable greed, of wanting what rightfully belongs to others, which Masha Gessen calls pleonexia,14 has resulted in over twenty official residences, fifty-eight planes, and four yachts. Sadly for Russians, Putin does not “own” any of these, except his St. Petersburg properties and perhaps his first yacht, the Olympia, which was presented to him as a gift by a group of oligarchs headed by Roman Abramovich just prior to Putin’s becoming president in 2000 and delivered in 2002. Without the presidency Putin theoretically would not be allowed to keep any of these accoutrements of power, except perhaps for the $700,000 in watches that he routinely sports—six times his declared annual income, a subject of constant Russian journalistic interest.15 Thus his motivation to leave power is reduced to zero. Those who say politicians can’t be called corrupt unless the police find $20,000 in small bills in their freezer, or who say “But the U.S. presidents have Camp David,” should contemplate how much has been spent from public funds on the construction, maintenance, furnishing, and round-the-clock staffing of these twenty residences, most of which did not exist, or at least not in their current gilded state, prior to Putin’s rule. A democracy is easier to research than a dictatorship. Even so, nondemocratic actions in a democracy, like corruption, are less easy to research than candidates’ public speeches, for example. When the subject of study is how, when, and why Russian elites decided to take the country away from democracy, obviously no one from this group is giving public interviews, and if they do, as happened with Aleksandr Litvinenko, they suffer a cruel death. More difficult to research are Russian elites’ private financial motivations for taking certain actions and the clan conflicts within the elite that produce sometimes contradictory public results. I spent almost eight years studying archival sources, the accounts of Russian insiders, the results of investigative journalism in the United States, Britain, Germany, Finland, France, and Italy, and all of this was backed by extensive interviews with Western officials who served in Moscow and St. Petersburg and were consulted on background. Based on all this, I believe it is possible to construct a credible picture of Putin’s rise. I also consulted with and used many accounts by opposition figures, Russian analysts, and exiled figures who used to be part of the Kremlin elite. These have become an increasingly credible source of information, particularly as the number of émigrés increases. Above all I have relied on the work of Russian journalists who wrote this story when the Russian media was still free. Many of them died for this story, and their work has largely been scrubbed from the Internet, or (as I discovered several times) infected with viruses attached to online documents, leading to computer crashes. Whole runs of critical newspapers have disappeared from Russian libraries. But “they” always forget to remove them all, and many Russians still keep clippings, reminiscent of a previous era when the state similarly ended press freedoms. Vladimir Putin is both a product and a producer of this pervasive system of corruption. Of course, he is not the only Eurasian or Western leader to have collected gifts and tributes. But to have created with this clique an entire system that spans eleven time zones is by any account an impressive achievement. I argue that the outlines of the authoritarian and kleptocratic system were clear by the end of Putin’s first one hundred days in 2000. It is a story that begins even before the collapse of the USSR. I. U.S. government anonymous leaks in 2014 claimed that Putin had spent illicit funds since the early 2000s on the unrivaled acquisition of luxury items, including his twenty presidential residences; that he had siphoned off cash from Gazprom to the tune of 70 percent of its capital expenditures; and that he controlled an estimated 4.5 percent of Gazprom, 37 percent of shares in Surgutneftegaz, and 50 percent of Gunvor. See Bill Gertz. “Putin Corruption Network Revealed,” Washington (DC) Free Beacon, April 7, 2014, http://freebeacon.com/national-security/putin-corruption-network-revealed/. 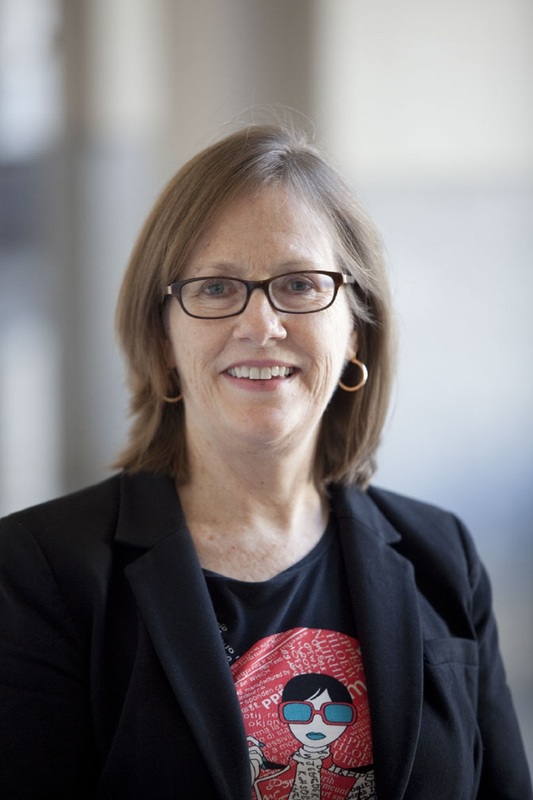 Karen Dawisha is the Walter E. Havighurst Professor of Political Science in the Department of Political Science at Miami University in Oxford, Ohio, and the director of the University’s Havighurst Center for Russian and Post-Soviet Studies. She has written five previous books, eight edited volumes, and numerous journal articles, and continues to do research and teaching in the areas of post-communist transitions and Russian politics. "A rare book—one that attracts a wide readership and at the same time makes a substantial contribution to the academic literature. . . . painstakingly assembles evidence to document the corrupt circle of insiders around Putin that emerged from the ranks of the Communist Party and the KGB. It is a damning picture . . ."